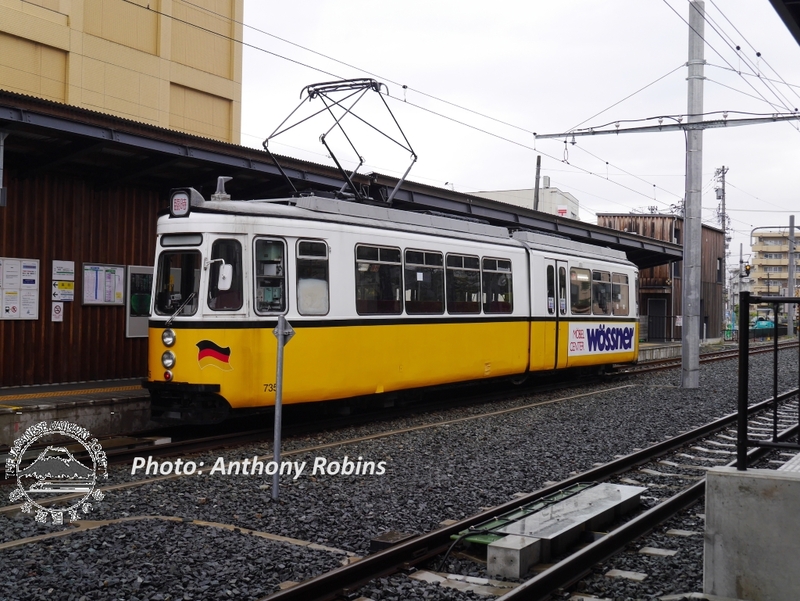 Scenes of the interesting tramway operation near Tawaramachi in Fukui, in the Hokuriku region. All Photos: Anthony Robins, taken 6th May 2017. 'ki-bo': Echizen Tetsudō's lone low floor set for 'Phoenix Tawaramachi Line' through operations to Fukui Tetsudō. 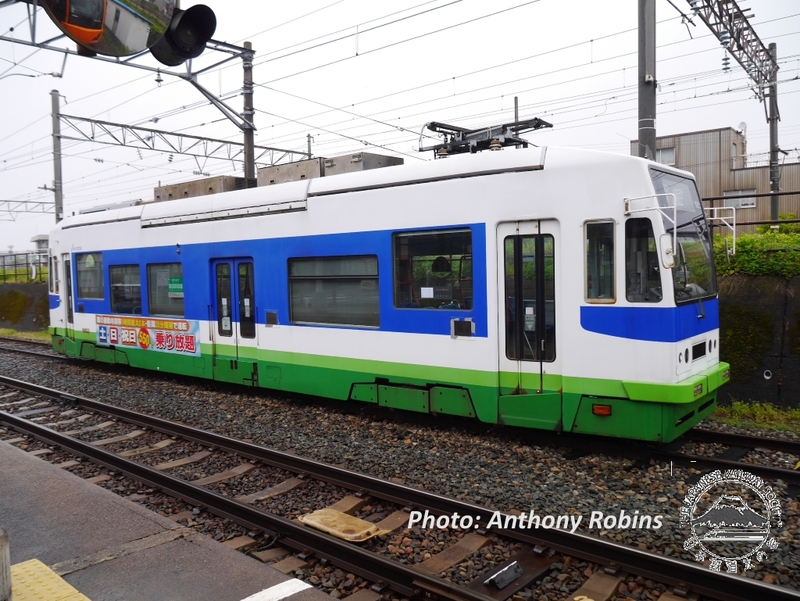 Manufactured by Niigata Transys, it was introduced into service in March 2016. 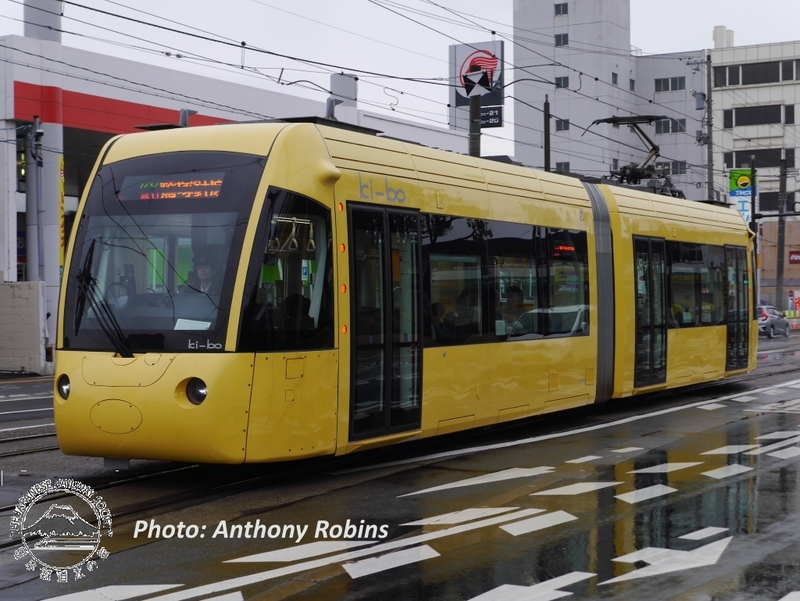 Fukui Tetsudō's 735: ex Stuttgart tram, previously in Kōchi until 2014, at Tawaramachi, the station which was remodeled to allow through operations between Fukui Tetsudō and the 3rd-sector Echizen Tetsudō.